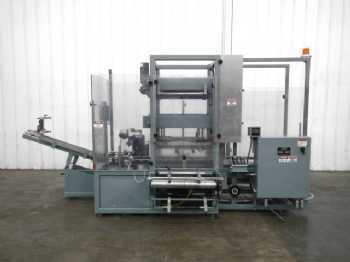 Equipment in this category is used to package products into a bag that is in a box or case. Liquids, powders, and pastes are common products that are packaged in this way. The three main functions of bag in box equipment are inserting, filling, and uncuffing/sealing the bag. Bag in box equipment can either use pre-made bags, or it can create bags from a roll of tubular film stock as it seals each closure.